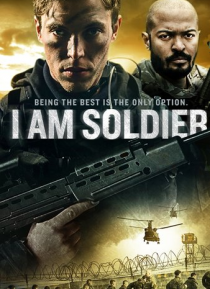 I Am Soldier follows Mickey Tomlinson (Tom Hughes), a military chef, who attempts the most dangerous military selection known to man: The Special Air Service (S.A.S.) selection. The S.A.S. is the United Kingdom's most renowned Special Forces Regiment, tasked with life threatening missions in some of the most dangerous places on the planet.